Crystal is a USAT Level 1 certified triathlon coach who enjoys helping both new and established athletes improve and reach their goals using a holistic, well-rounded approach to training including nutrition planning, strength training, and a focus on fitting triathlon into your life in a way that is healthy and sustainable. 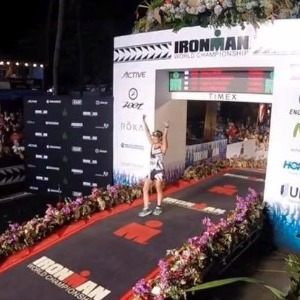 Crystal is an Ironman All World Athlete and Kona finisher. She started triathlon with no experience in swimming, cycling, or running and has made the journey from ultimate beginner to successful athlete by reading, researching, observing elite triathletes, and integrating what she learns into my training. She looks at excellence as a work in progress and is always striving to expand her knowledge and expertise. Crystal has a Bachelor's degree in Psychology with a concentration in Cell Biology and Neuroscience and has completed coursework in Exercise Physiology from University of Colorado - Boulder. She is proud to be a USAT-certified coach and would love to help you reach your goals. Athletes must have or be willing to purchase a multisport watch/tracker with real-time pace display. Ironman athletes must have or purchase a heart rate monitor. Success. Coach Crystal Hirst has been notified of your message.